Rishi Kapoor took to Twitter and shared mugshots of India’s cricketing squad, pointing out that almost all of them sport a stubble. Rishi Kapoor Wants to Know Why Indian Cricket Team is Obsessed with Stubble Rishi Kapoor took to Twitter and shared mugshots of India’s cricketing squad, pointing out that almost all of them sport a stubble. Image: Rishi you have laid eyes on the Indian cricket team of late, a striking theme is recurrent. Apart from the desire to be the number one squad, the team members have a penchant for sporting beards and mustaches, groomed to resemble each other, in a number of ways. 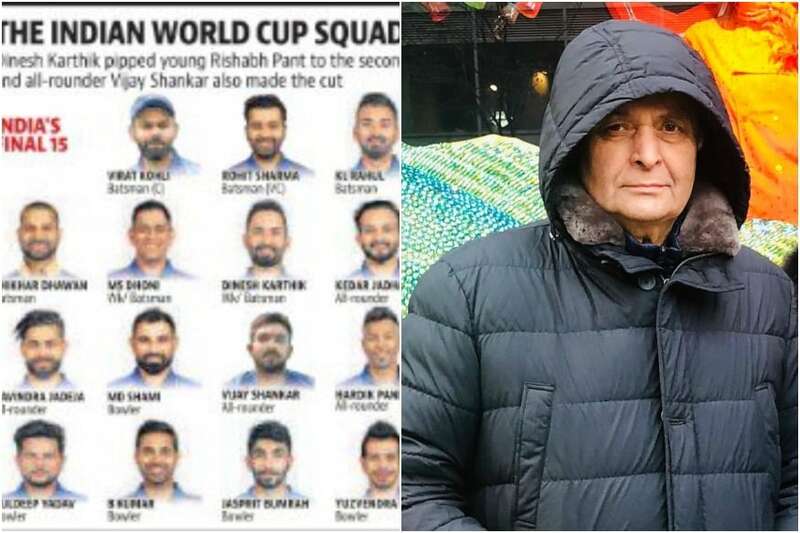 Rishi shared a picture that seems to be from a newspaper daily and carries mugshots of the team members who will fly out to England and Wales for the ICC Cricket World Cup. Rishi snapped the image of the contingent and sharing it with the world wrote, “Don’t take this picture as a reference point but why do most of our cricket players sport full facial hair(beards)?